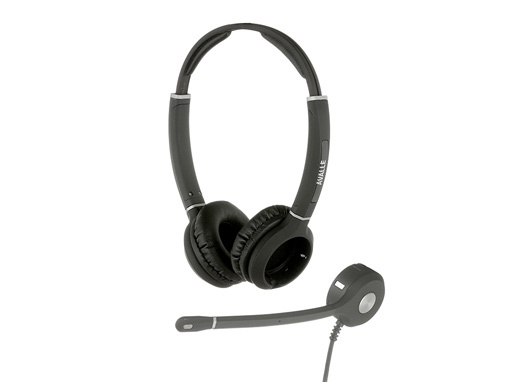 A headset that can be converted from binaural (2 head phones) to monaural (1 headphone) and back easily giving you the freedom to choose your wearing style to suit the working environment. Business dual ear headband assembly to be used together with the verso boom module (sold separately) to make a complete binaural headset assembly. Sound quality is unrivalled; Wideband audio technology increases clarity on standard office telephone, Soft phones and VoIP. The Avalle Verso is suitable for extended periods of prolonged use with an adjustable padded headband and large leatherette ear cushions. This evolved design allows you to switch your wearing style to suit your working environment in a matter of seconds. Being designed, engineered and tested in the UK you can buy with confidence and for a little extra peace of mind the Avalle Verso comes with a 2 year warranty. 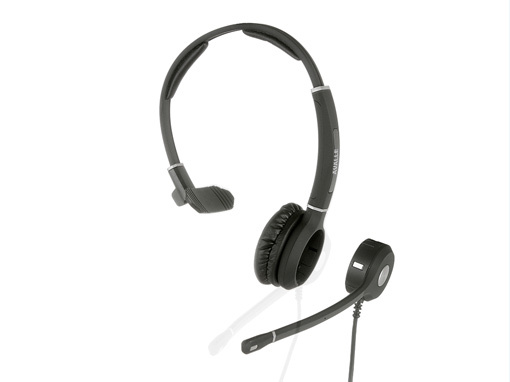 Microphone boom module with microphone and speaker using wideband speakers and noise cancelling microphone. Business single ear headband assembly to be used together with the Verso boom module to make a complete monaural headset assembly. Business dual ear headband assembly to be used together with the Verso boom module to make a complete binaural headset assembly.